But day by day we manage to see the true face of our FLOTUS! 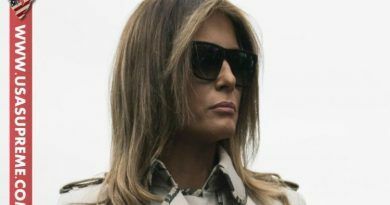 “We have women in many countries of the world who are not allowed to dress as they please, are not allowed to show their face in public, are not allowed to drive, to vote, to participate in society,” the First Lady said. First lady Melania Trump made a rare appearance at the White House today, as she hosted a ladies luncheon in the State Dining Room in honor of International Women’s Day. The White House also announced that there would indeed be an Easter Egg Roll this year, which will be held on Monday, April 17, as it’s tradition to host the event a day after the Easter holiday. 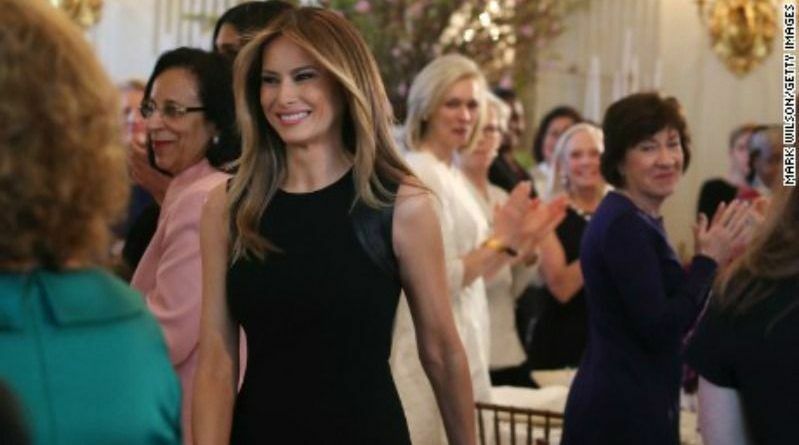 At the luncheon, the first lady was dressed in a black Ralph Lauren – and not the red many protesters are wearing in solidarity today – and was given a standing ovation when she entered the room. Later on, both President Trump and Vice President Pence dropped by to say hi to the crowd! Melania Trump is a beautiful, intelligent, and graceful First Lady! Her story of being an immigrant, living under Communism, immigrating legally to America and becoming the First Lady is one of the most inspiring American achievement stories of our time! Praying for our President, our First Lady and their family! This family gave up a beautiful, comfortable life to help America become great again! We are in troubled times and the President has many evil forces working against him. He is strong and he will prevail! May God bless the Trump family and May God bless America! What kind of the question is that? You are already know the answer!